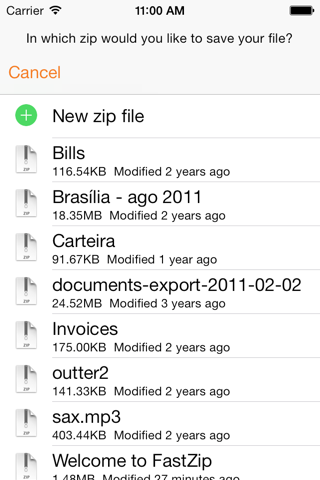 FastZip is the fastest ZIP and RAR manager for iPhones and iPads. It is both fast itself and was designed for you to manage ZIPs and RARs with less taps and in less time. Instead of being a full-blown file manager, FastZip focuses on what's important: viewing compressed files and zipping files to share. 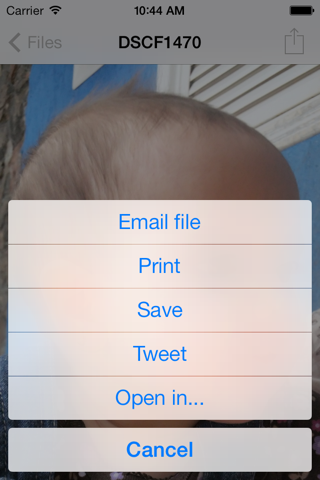 View the contents of a ZIP or RAR received as an e-mail attachment or from other apps. Universal app for iPad and iPhone / iPod Touch. Open unzipped files to other apps. Save unzipped images to Camera Roll. Create ZIPs from other app’s files. Send ZIPs and RARs via e-mail. Suports password protected (encrypted) ZIPs and RARs (opening only). Simple and quick. Great job! Good app, open zip files very fast! 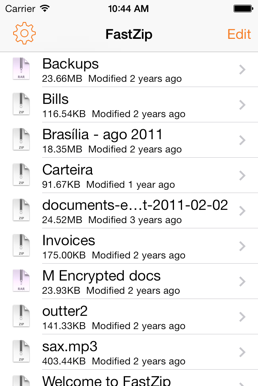 This app provides all that you might need for managing zip-files on your iPhone. Featured on Time Magazine as one the 50 Must-Have iPad apps. 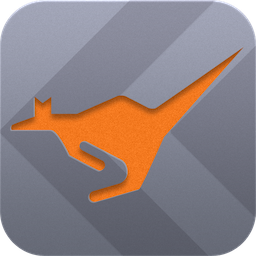 App77 is a company developing creative software solutions for smartphones and tablets. When developing for mobile platforms, an app that just does the job is not enough. The user has to be surprised with a well finished, user friendly product which will enable him/her to perform a task with added value. 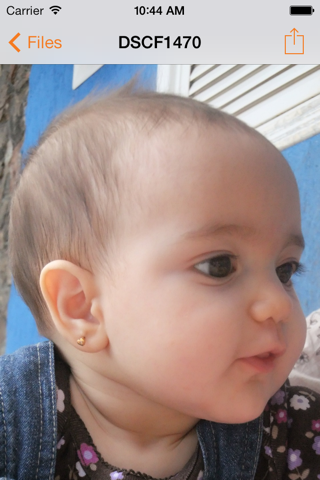 © 2014 App77, All Rights Reserved. Apple, the logo, iPhone, iPad, iPod Touch, iCloud and App Store are trademarks of Apple Inc.